At AppStud we strongly care with well being of our teams. Easy to say: this is the new start ups motto. So yes, when the teams in Mauritius moved into brand new offices in front of beach, the mood was brilliant. It was also after a nice evening on the rooftop of Le Perchoir with Paris team. Yes, yes and yes. However, these little things don’t show the day-to-day challenges of a start up. The daily job is rather a permanent quest to make AppStud a great place to work. And to know the relevance of our efforts what better than getting some feedbacks. There are nearly a year, we began banging the nail on the head asking ourselves how to know the degree of “Happiness” of our employees. Easy again: ask them. We tried. We really did though. It was time consuming and some people just didn’t want to explain the big « why » they were moody. So we looked for a simple tool that would give us the overall mood of our team anonymously. Then we found Team Mood. 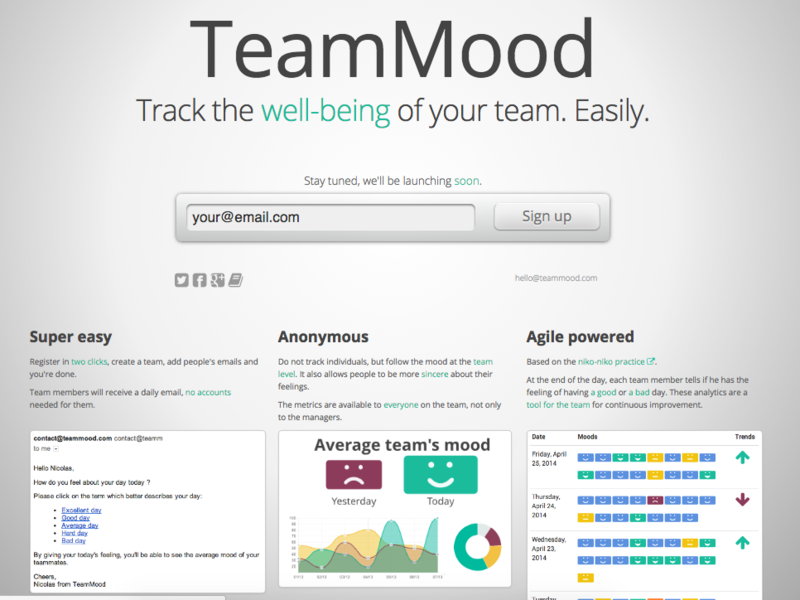 Team Mood allows managers to manage their business by knowing anonymously the daily moods of their teams. Clicking on my current mood let me check out the global mood of my team. How did Nicolas made this happen? The story of Team Mood conquered us, in that way it fully meets our usual methodology. 3 years ago, Nicolas Deverge creates a simple web page detailing its value proposition. A pre-registration field. Few hours for a proof of concept. He quickly achieved a commitment rate of over 15%. Proof of Concept OK.
Then, he began working to improve Team Mood and a few months later, he reached start ups and big companies though paid plan. How we use it every day. Let me told you a small story: Just a few months ago, some techs at AppStud were working on a big project. In a specific phase, we found several “Bad Moods” recurring. Knowing that has allowed us to be proactive and avoid a point of no return. We met the team in order to discuss issues. Several areas for improvement specific to the project and more generally to AppStud have come out and have been set up. 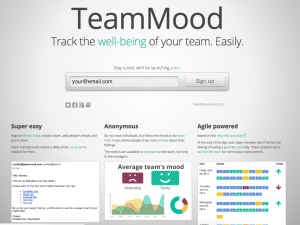 In summary, Team Mood is an interesting and fun tool that we recommend to any manager who wants to get even closer to his team.